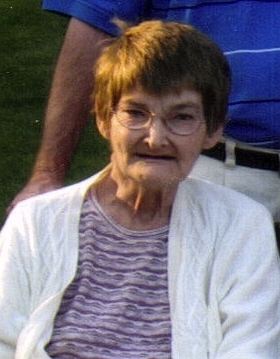 Rosemary Devitt Hurley died Thursday, April 5, at Select Specialty Hospital in Sioux Falls, SD. Rosemary was born January 4, 1942 in Sioux Falls, SD to Leonard and Mary (Malloy) Devitt. Rosemary graduated from Crippled Children's High School (CCHS) in 1961, and received her B.A. in History from Mt. Marty College in 1965. She taught at Jamestown Crippled Children's in Jamestown, ND and later taught catechism at Children's Care Hospital & School in Sioux Falls. On July 2, 1982, Rosemary married Edward (Barney) Hurley in Sioux Falls, SD. She was a homemaker for 29 years. Rosemary was passionate about all things family and politics. She was a strong advocate for others living with cerebral palsy and a courageous example for people with disabilities. She is survived by her husband, Barney, and four brothers and a sister: Pat (Liola) Devitt, Alan, TX; Mike (Irene) Devitt, Bakersfield, CA; Barb (Bill) Hoffman; Greg (Karen) Devitt, Sioux Falls, SD; Bob (Peggy) Devitt, Harrisburg, SD. She was a loving sister-in-law to Sheila (Lyle) Sechser and Linda (Pat) Dotson and a loving aunt to 20 nieces and nephews. Rosemary was preceded in death by her parents, two brothers, Thomas and Dennis and a sister, Ellen Blankartz. Visitation will be Tuesday, 5 PM at Barnett-Lewis Funeral Home with a Scripture Vigil and a Rosary at 7 PM. Mass of Christian Burial will be Wednesday, 10:30 AM at St. Mary Church with burial to follow at St. Michael Cemetery.